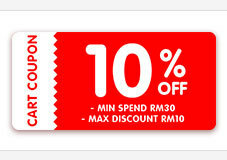 Apply 50% cart ccoupon + 15% shop coupon to get RM 114.10 for 6 packs. Really bang for bucks. RM19.02/pack. Good package with two boxes, fast arrived. Well received. Good value of product.